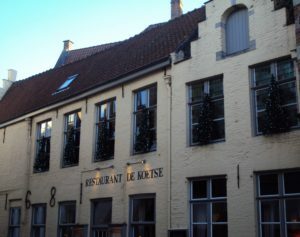 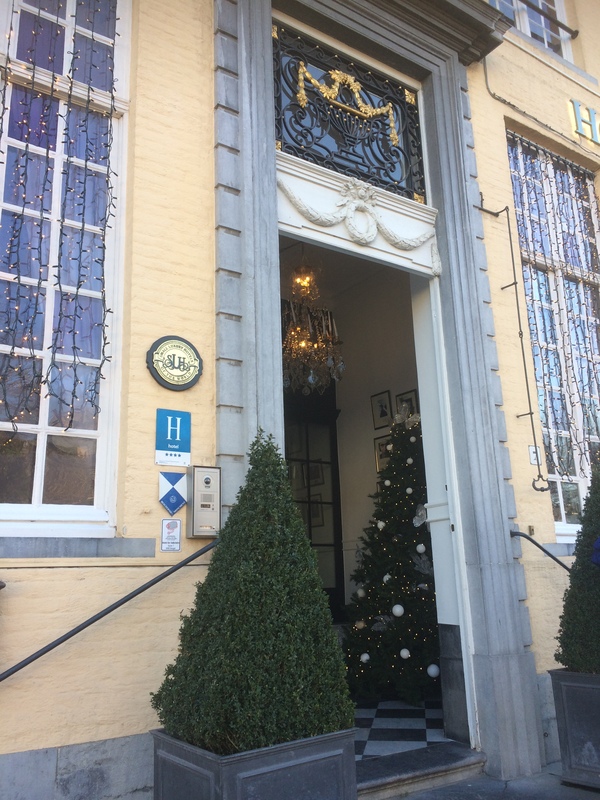 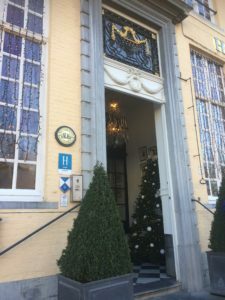 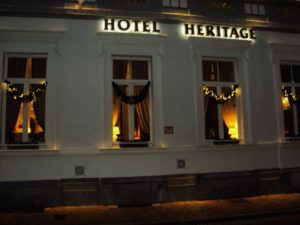 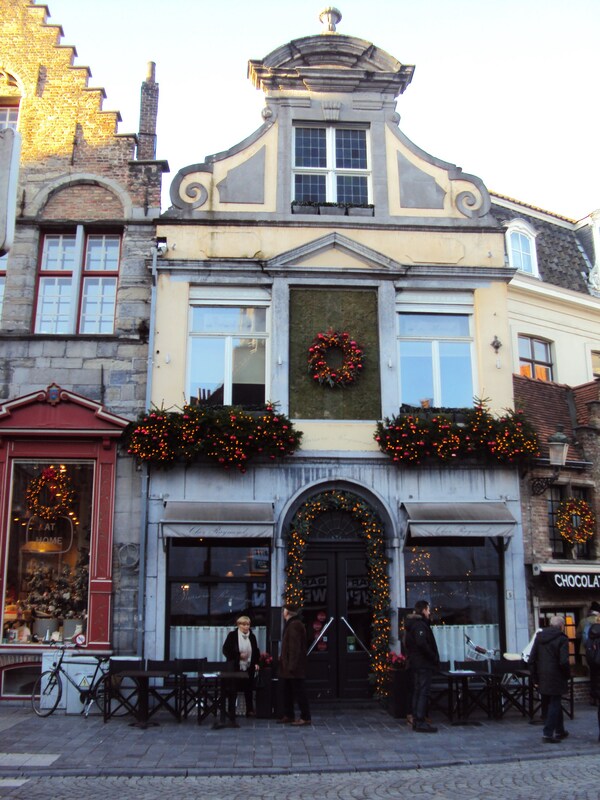 Last Saturday I drove to Bruges to do some Christmas shopping together with my sister. 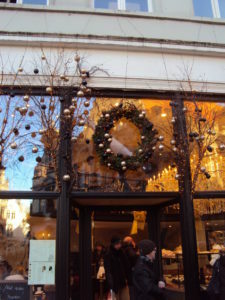 We had a wonderful day, walking around in our most charming and romantic city. 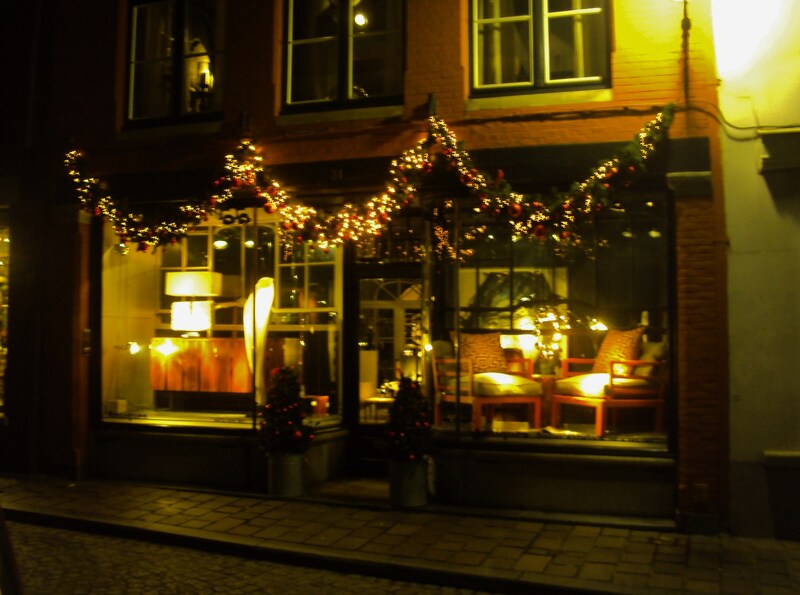 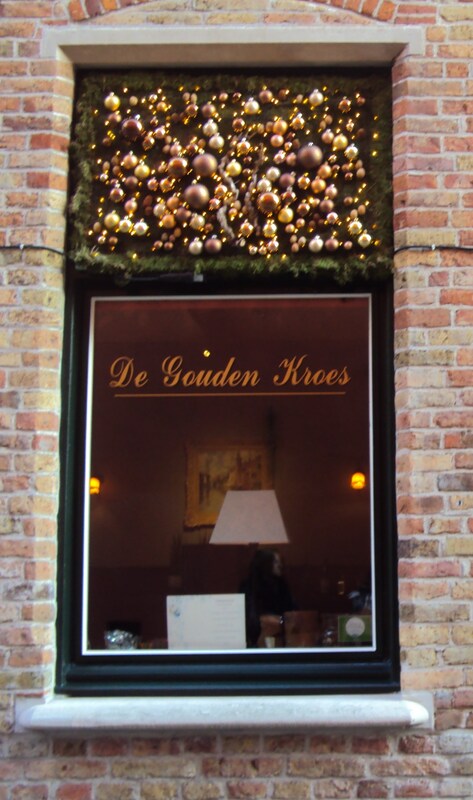 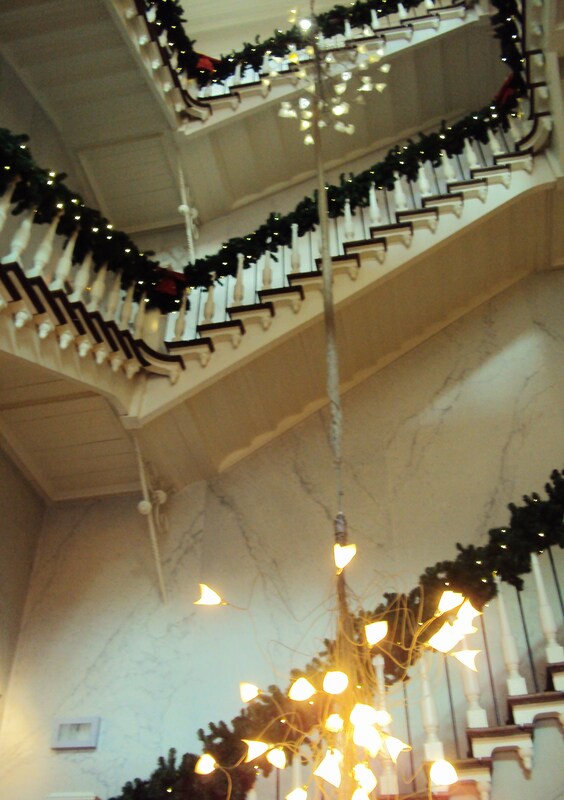 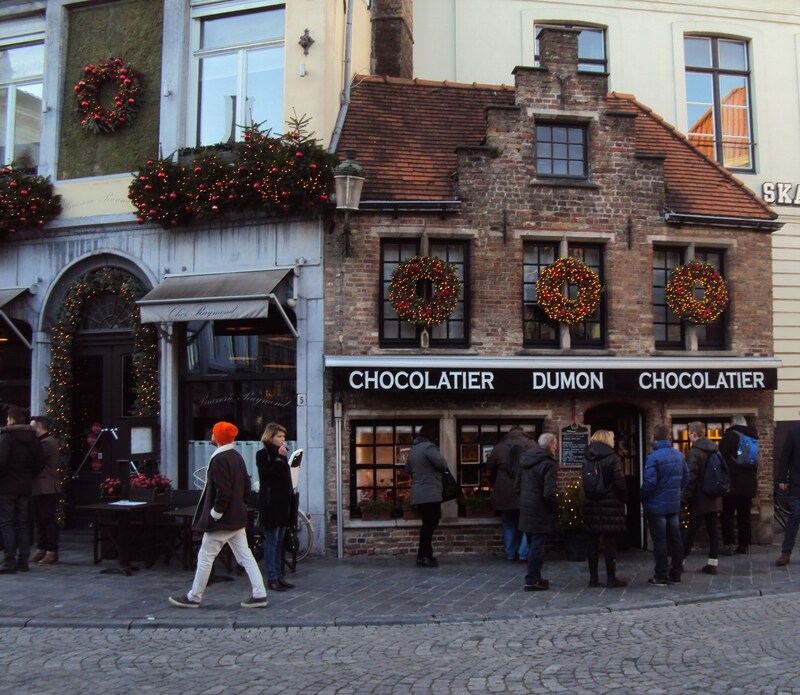 A walk through Bruges, feeling the magic of the Christmas season, is one of the best things to do in life. 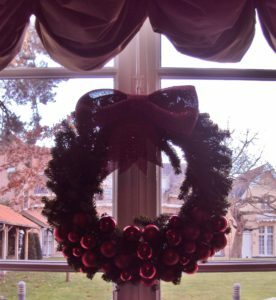 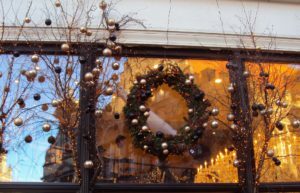 Actually, I would love to go back another day to take many more pictures of all the beautiful Christmas decoration to see. 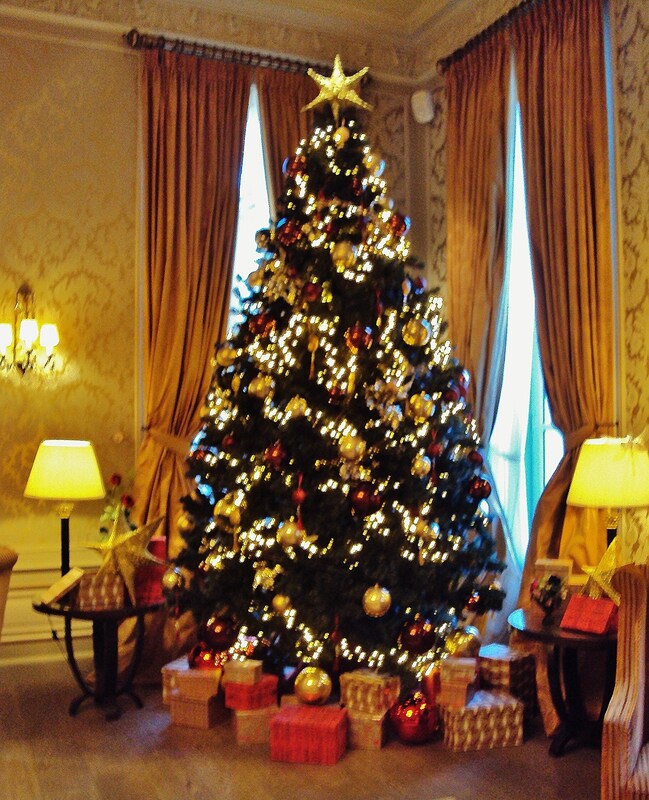 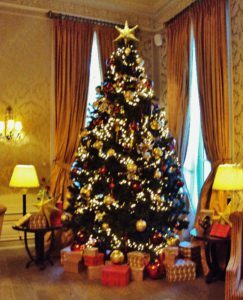 All shop, restaurant and hotel owners made a big effort to adorn their place with the most splendid Christmas decorations. 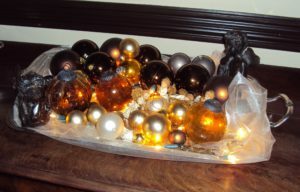 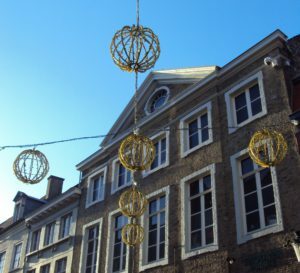 Here is only a small selection of the so many magical decorations to see in the city center of Bruges. 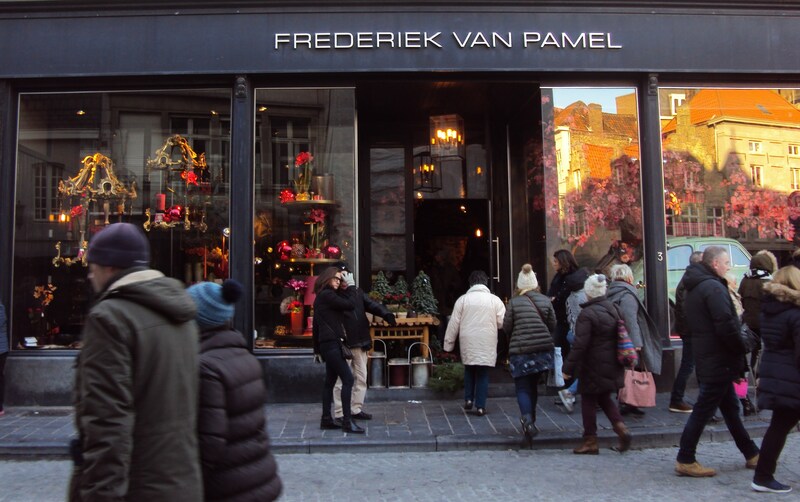 I earlier blogged about the work of our talented Belgian florist Frederiek Van Pamel here. 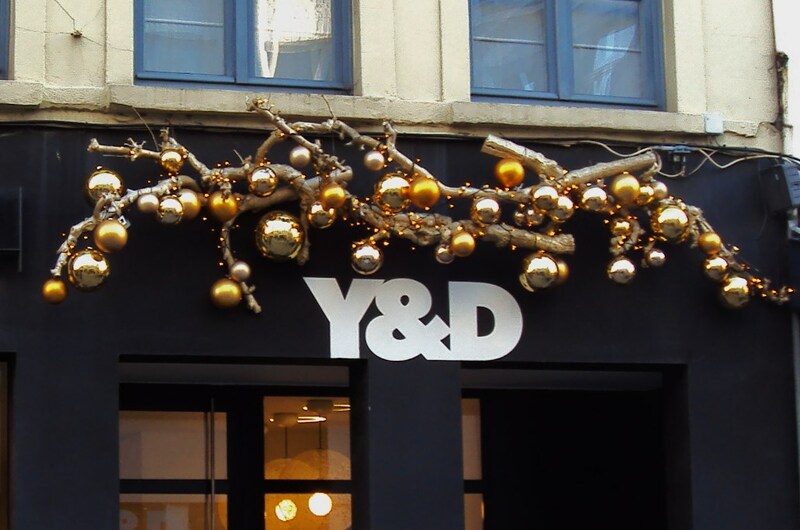 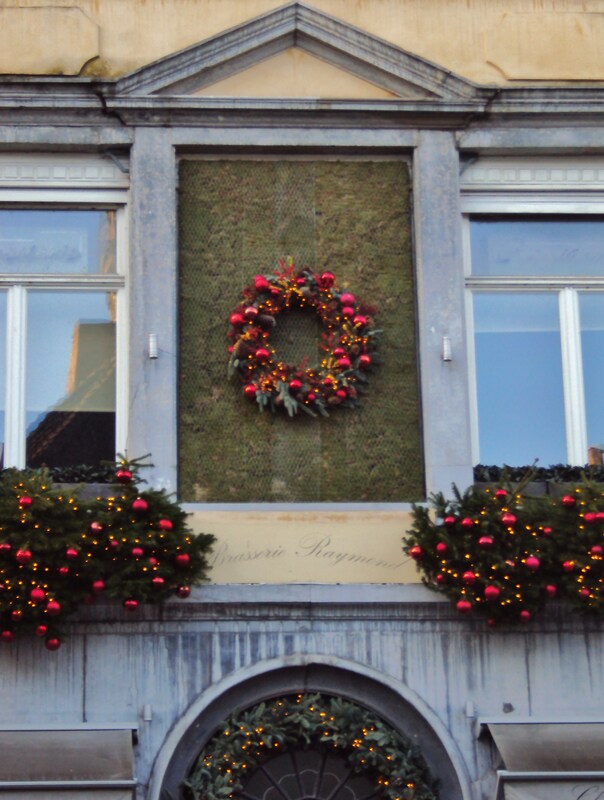 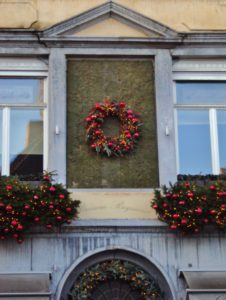 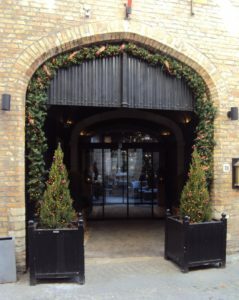 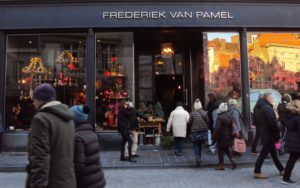 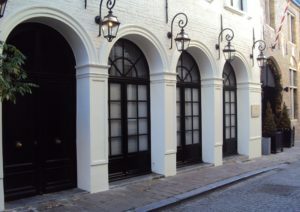 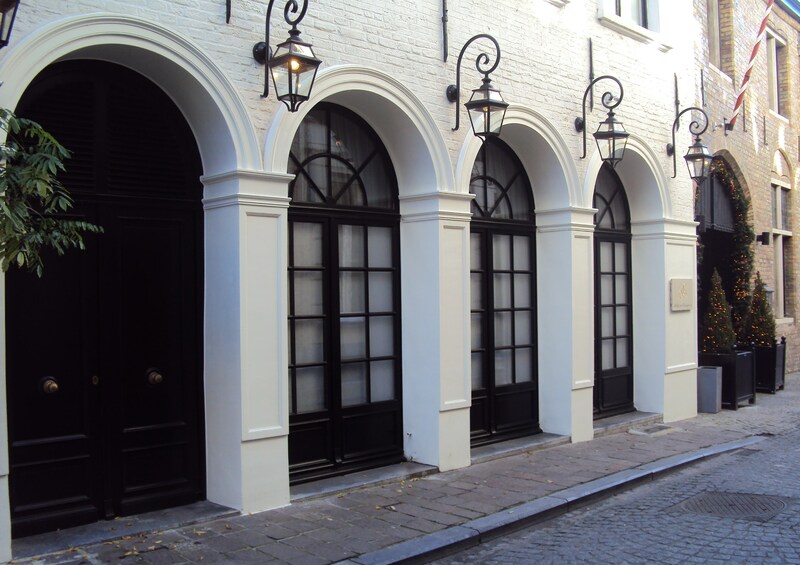 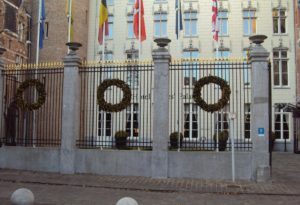 The façade decoration to see here is from the hand of florist Frederik Van Pamel. 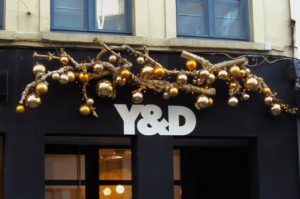 Christmas decorations and lights adorning the city center. 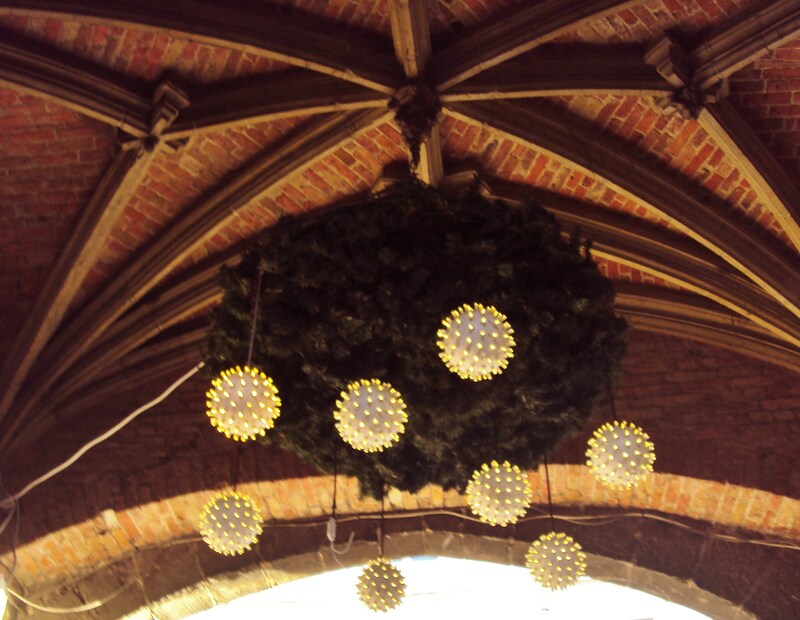 Even some of the city center’s medieval vaulted ceilings are decorated. 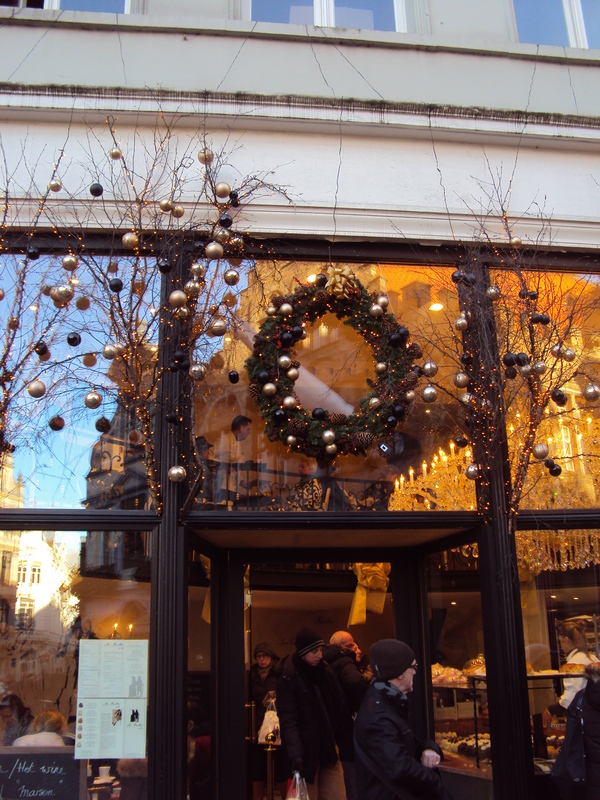 To end this post, a detail of Chocolatier Dumon’s decorated façade. 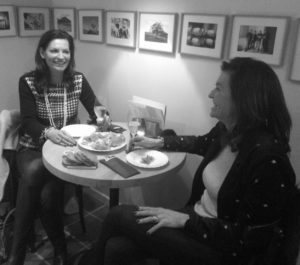 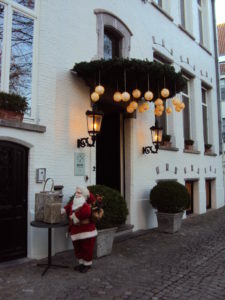 At the end of the day my sister and I toasted to our wonderful afternoon in Bruges at winebar Riesling & Pinot. 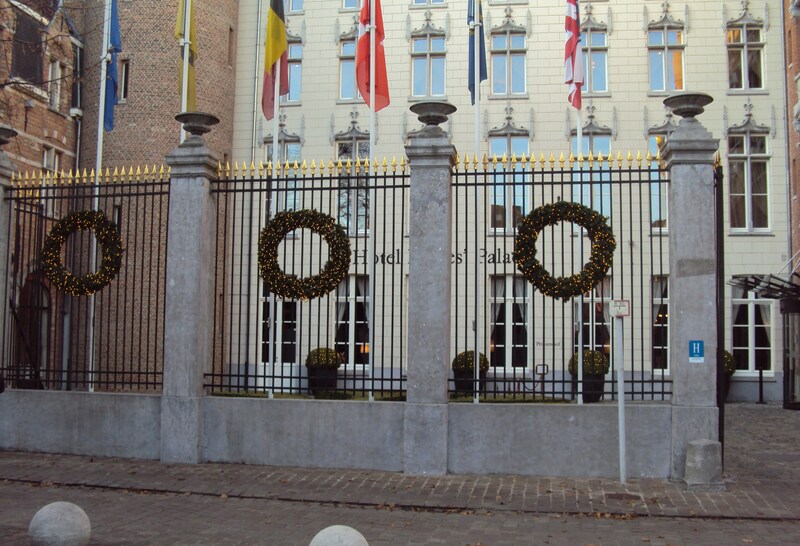 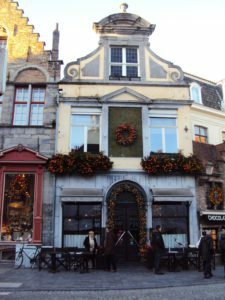 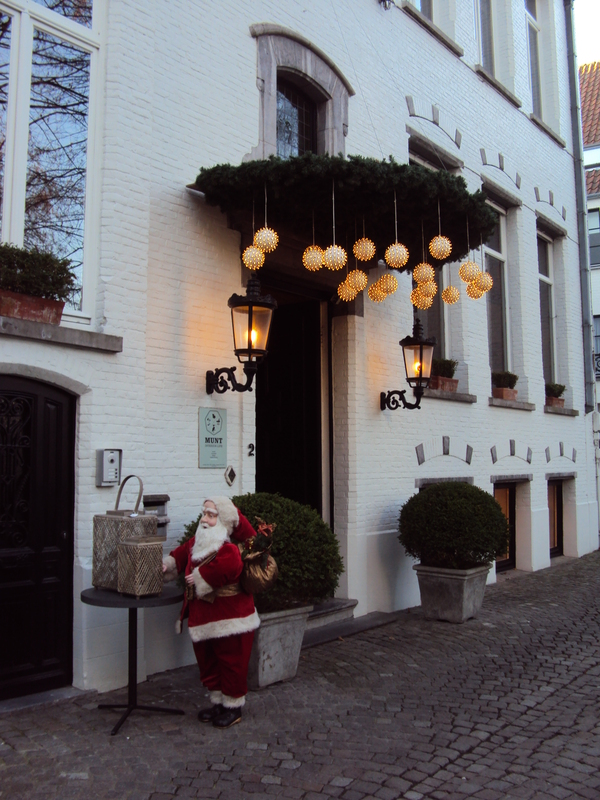 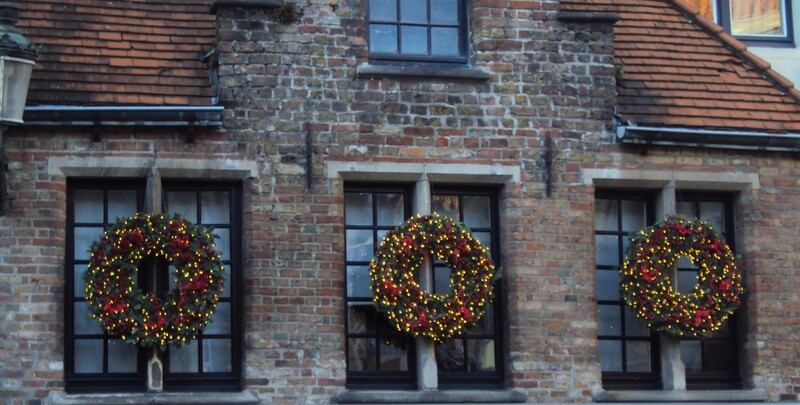 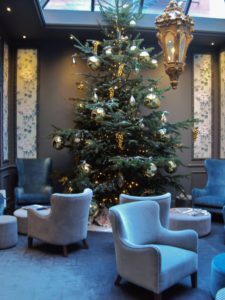 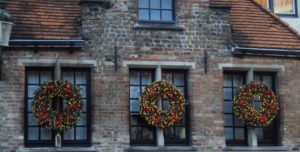 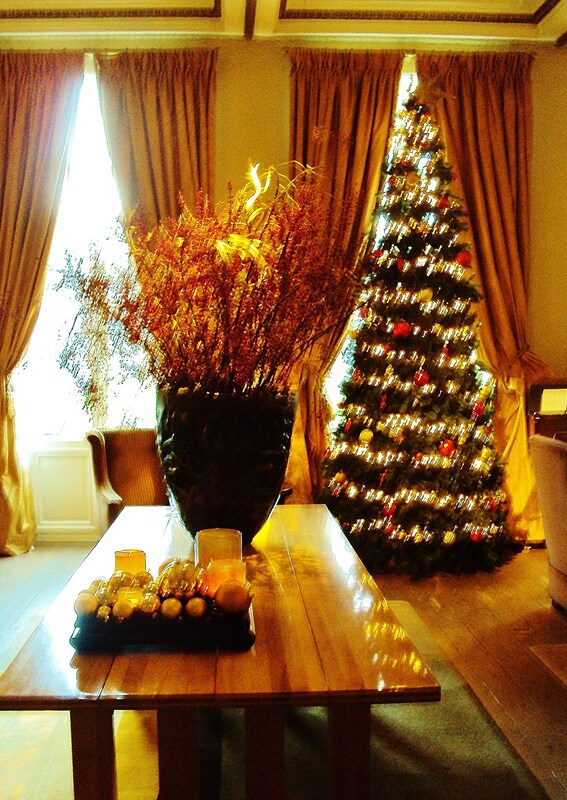 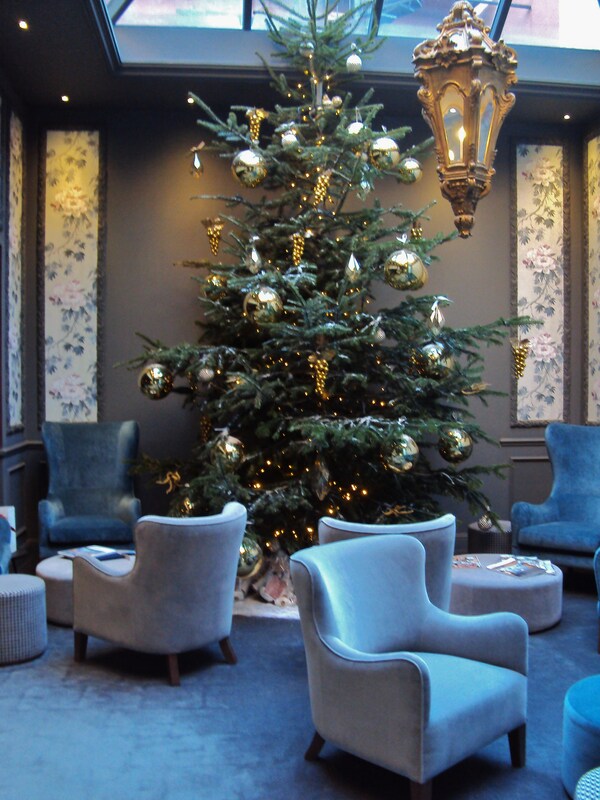 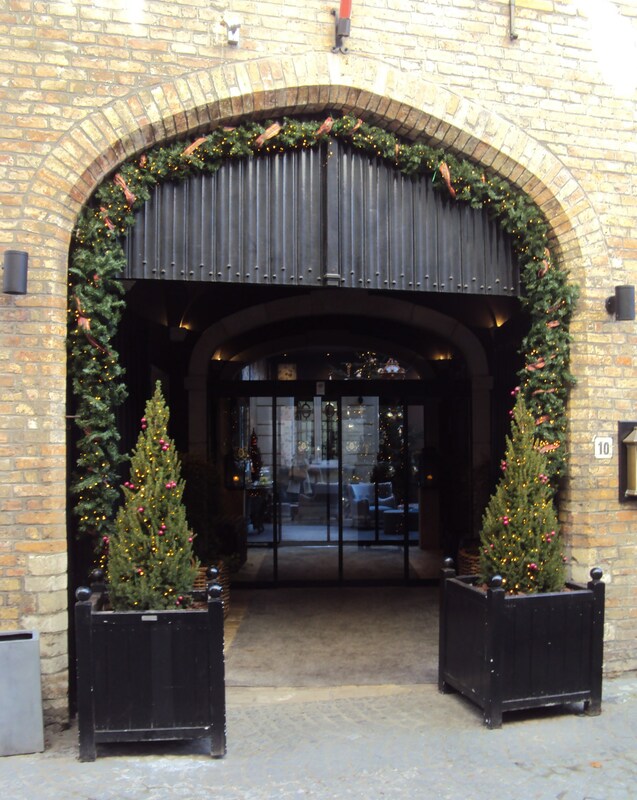 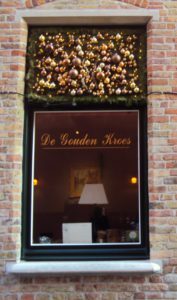 A visit to Bruges in December guarantees a festive feeling. Why would you wait? Stunningly beautiful!! 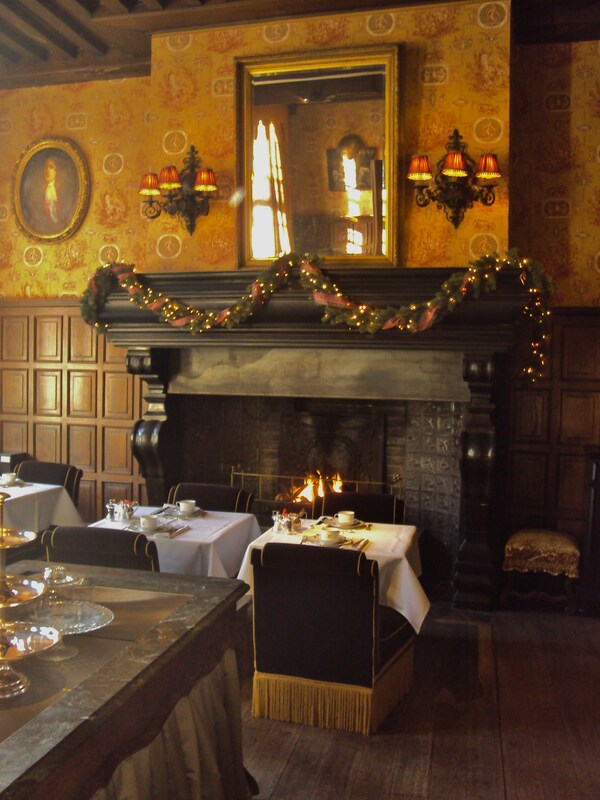 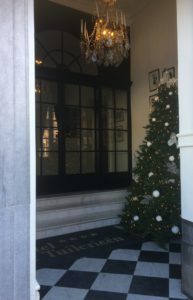 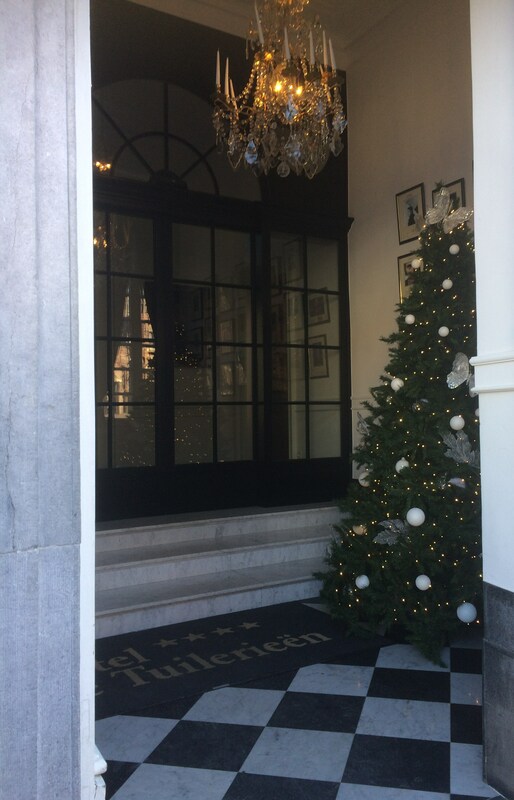 My favorite is the one at Hotel de Orangerie with the tables facing the fireplace. Can picture myself there enjoying a lovely meal. 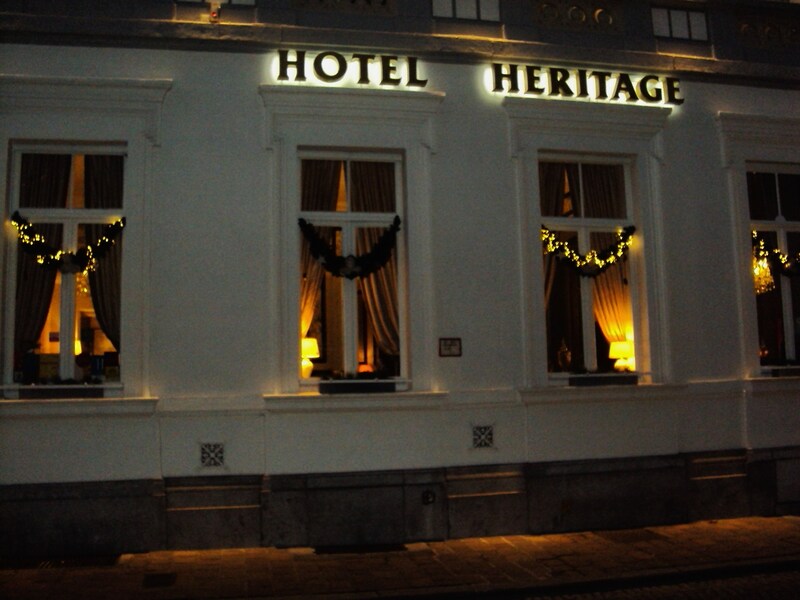 Thank you for the giving me a glimpse of a destination I want to add to my bucket list.